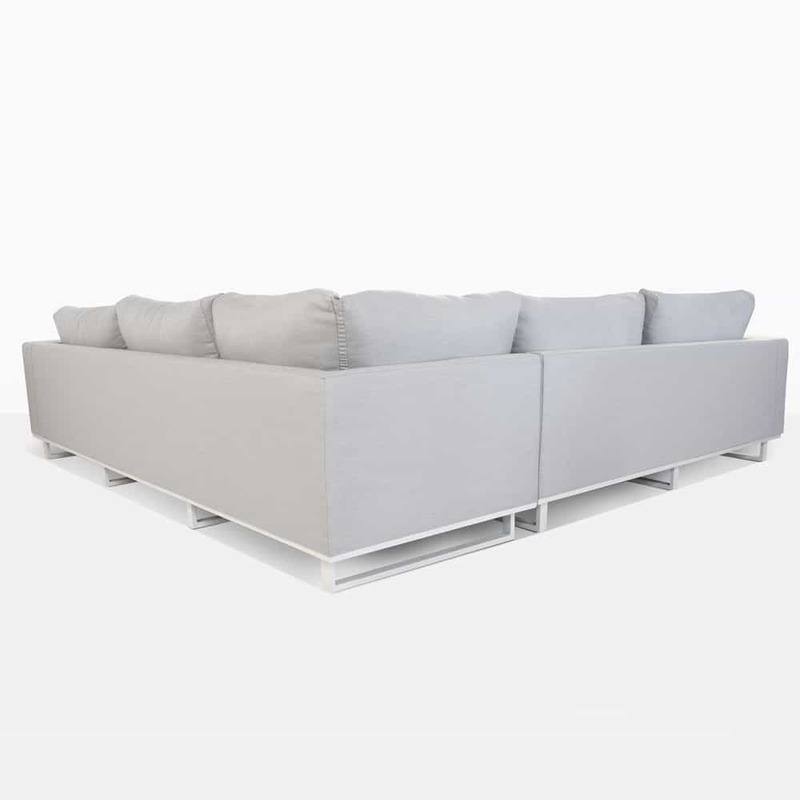 Create a modern, airy and comfortable outdoor living space with the Apartmento Sectional Sofa. The sleek clean lines of the white powder-coated aluminum frame, tailored seat cushions and comfy back cushions are the design elements that make this sectional so desirable. The soft grey color and white frame are light and soothing and will immediately give your outdoor space a contemporary spa-like vibe. 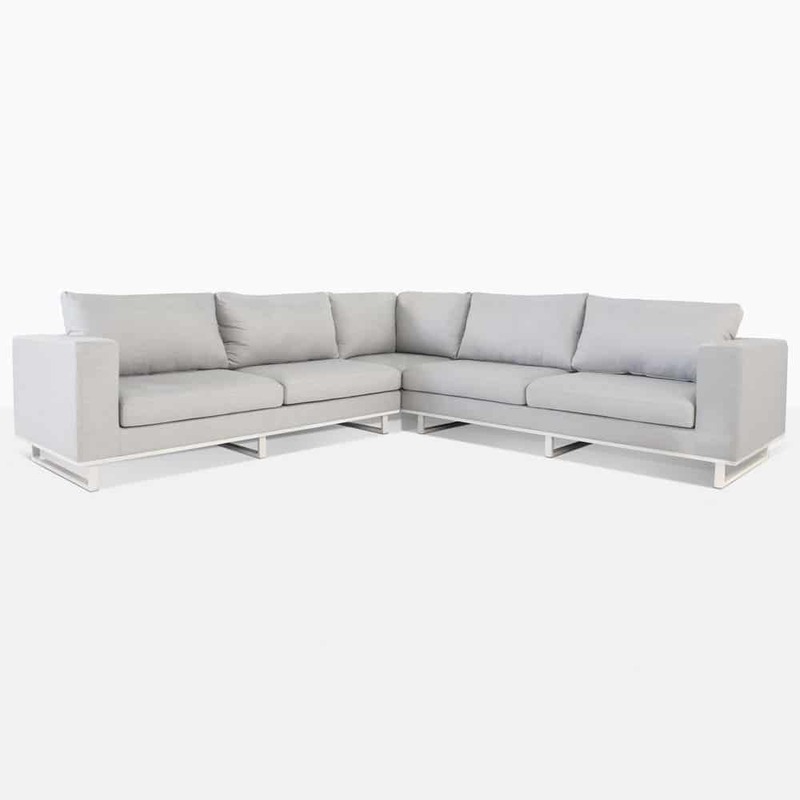 The sectional is made with 2 parts, a 3 seater sofa and a right arm two seater. The corner back pillows are connected to give these two separate units the look of being one grand sofa. The frame is covered with Sunbrella® fabric, just like the cushions which are included in the price.